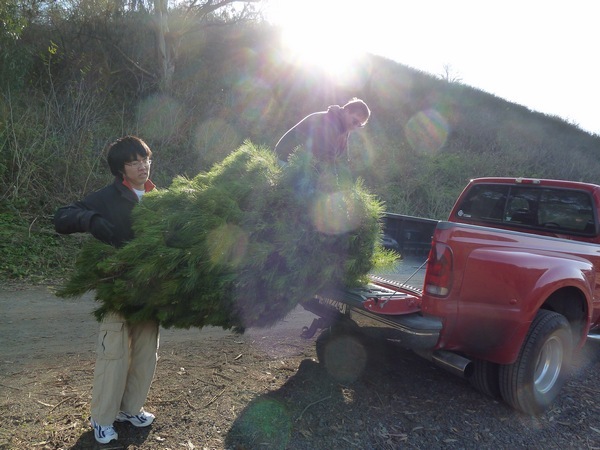 This weekend, Penga-Sis and Dad came up to help us find a Christmas tree! We wanted a real one since it's our first year in our house - something of a special occassion? 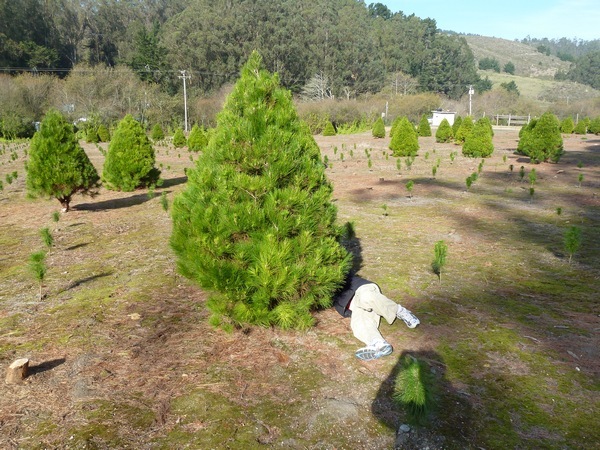 We headed to 4-C's Christmas Tree Farm in Half Moon Bay. 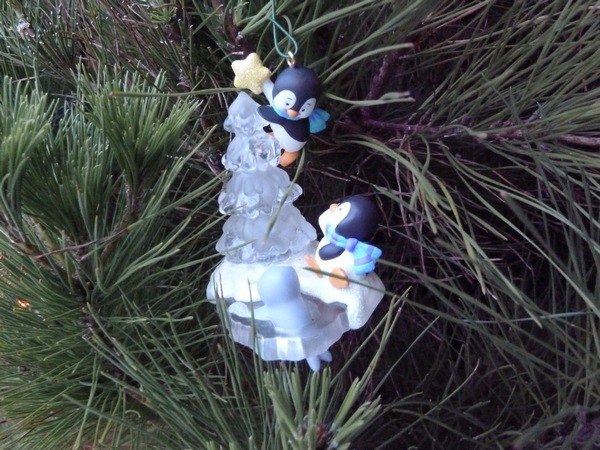 Originally I wanted to buy one from a non-profit charity, but since I couldn't find a lot, we figured a locally grown tree was the next best thing. Though it is a little late in the season, there were still plenty of trees still growing! 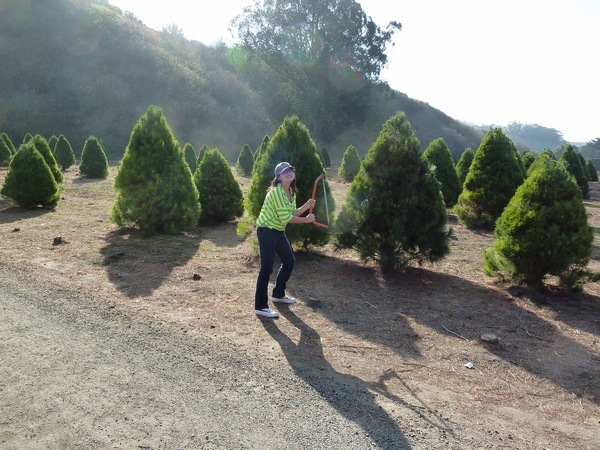 They give you a saw when you drive in, and you cut down your own tree. 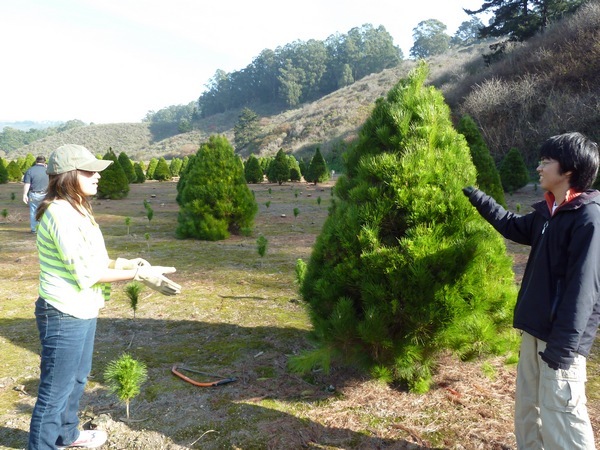 Any tree for only $40! Not bad. 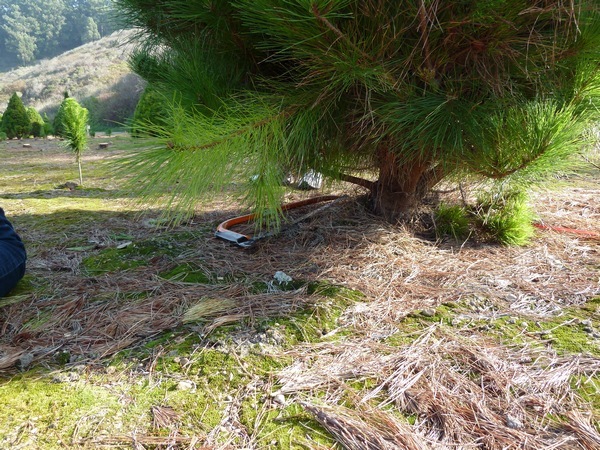 But that's probably because they are Monterey Pine Trees, and not your typical Fir. 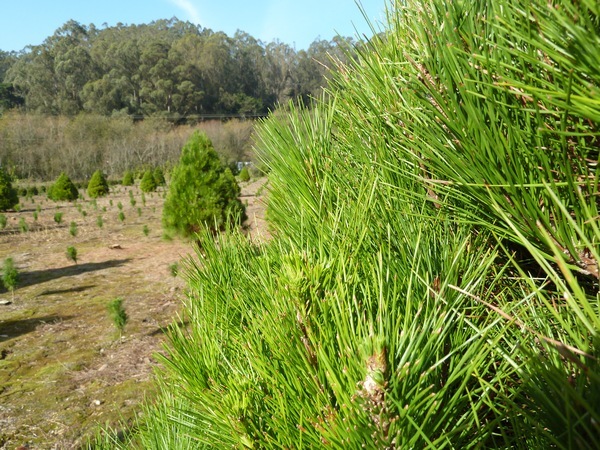 They are cut into the shape of a Christmas tree, and are rather bushy. But they still smell lovely, and that's the whole point of a live tree! And everyone except for me took turns sawing at the base! The guys hauled it into the back of the truck, though we saw lots of people with trees strapped to the top of their cars. I'm not sure if our bean-shaped Prius could have handled it though. Back at home, we had to use the chainsaw to clean up the base. 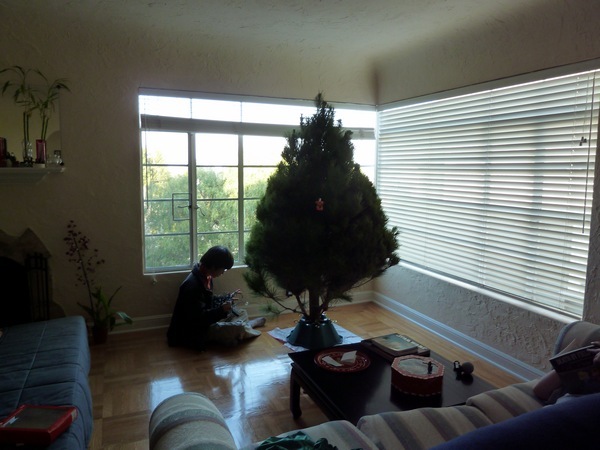 Then we had to figure out how to get the tree to stand straight. The leaning tower of pine! Then the fun part! Ornaments and lights! Yep. 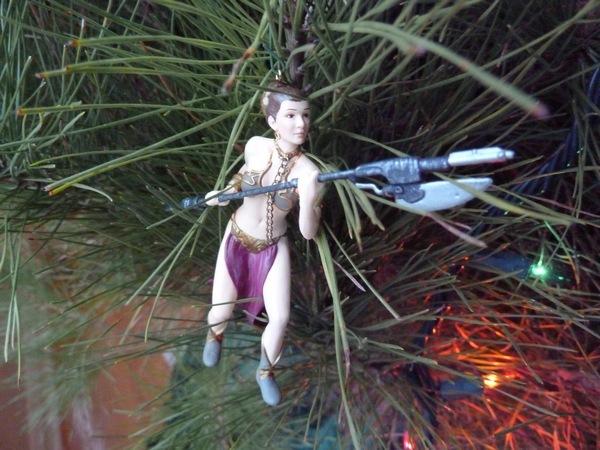 Slave Leia on my tree..oh my. A lot of these cute Hallmark ones. Though I've started also to collect some Hawaiian ones too! There's a lady at the Dole Pineapple place on Oahu who makes custom ornaments, so Mom's gifted me a couple from our previous trips. I need to go again and continue my collection! Anyway, now that the tree is up, I'm 100% in Christmas season mode! Yay! 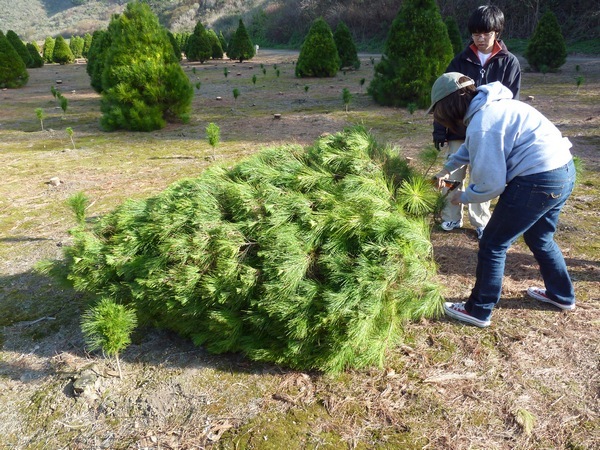 Have you ever cut down a tree before? It looks like hard work! yay for christmas trees! i love it. kevin and i got one small enough that it fit into the trunk of our car. a mini tree! Lovely tree!! 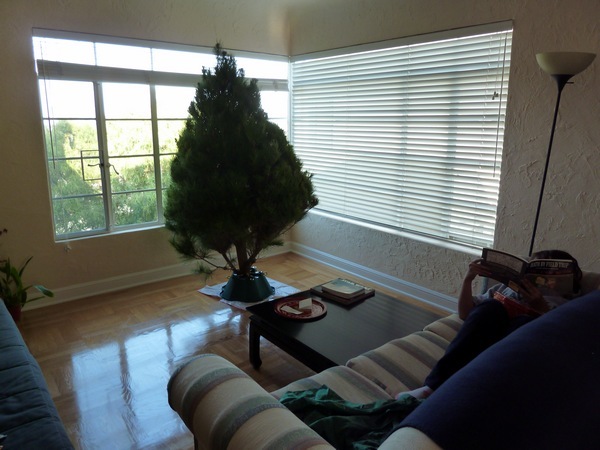 I looove the smell of real trees, but we have our fake one since we don't have an easy way of not only getting the tree to our house, but taking it back to get it recycled (they don't pick it up on our street here in AZ). 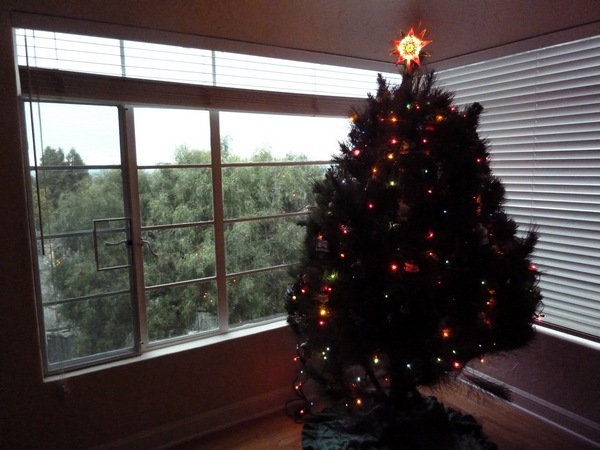 Eeeee Christmas tree! We are doomed to never have one since we are always traveling over the holidays. 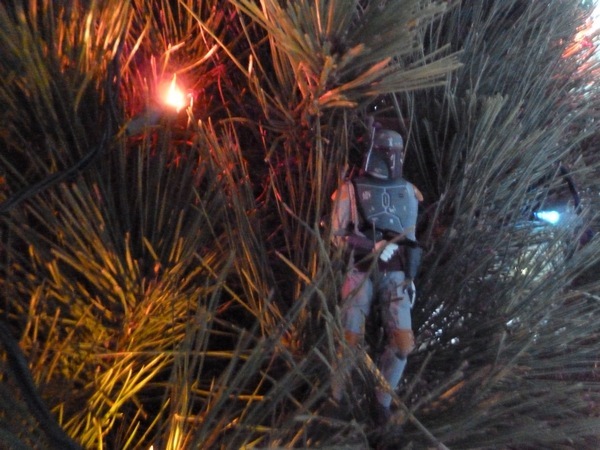 I love your Star Wars ornaments! Oh that looks like fun! Tim says they do it in Oregon all the time. You guys are wearing SO LITTLE FOR WINTER! :oP SO much sunshine! I love it - it's nice and full! 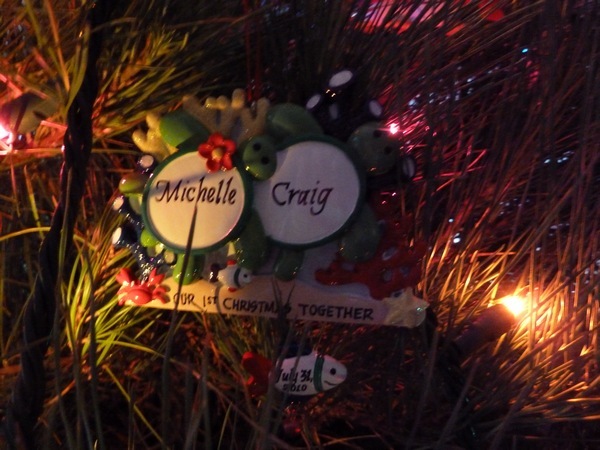 :) And I love all of your little ornaments - too cute. 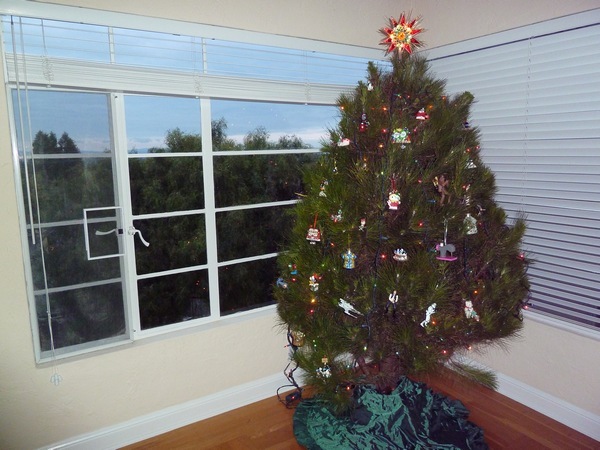 LOVE your Christmas tree! I had this little dream (nightmare) that I got your card when getting in last night at midnight and accidentally ripped it apart. The good news is that I DID get your card and when I checked today - its all in tact!! !